3 Tips to Keep Your Teeth White from Your Dentist in Zionsville! After you’ve received the necessary treatment to deliver the bright and brilliant smile that you’ve been dreaming of, what can you do to protect it? There are a ton of remedies and product claims that you’re bombarded with, but what actually works? Your dentist in Zionsville weighs in on the subject with 3 simple tips to keep in mind. In addition, he’ll provide some alternatives that will help you maintain your beautiful smile. Practice Excellent Oral Hygiene – Just as your oral hygiene habits are vital to the health of your teeth, they are equally key to maintaining the look that you desire. You should be brushing and flossing your teeth at least twice a day to remove the food particles that can discolor and stain them. You may also consider rinsing with mouthwash immediately after eating or drinking items that will stain your teeth before they have a chance to settle in. Monitor the Types of Foods and Drinks You Consume – Along the same lines, try to limit your consumption of foods and drinks that are known to stain teeth. A key component to be on the lookout for is tannin, a natural coloring agent that is found in tea, coffee, cumin, berries and other sources. Visit Your Dentist – Here is another benefit of visiting your dentist at least semi-annually for cleanings and checkups. Not only will they ensure the health of your mouth, teeth and gums, but they will also afford you the opportunity to get a touch-up whitening. So you’ll leave the office with clean, healthy and beautiful teeth! Are There Other Ways to Maintain Your Brilliant Smile? Use a straw when drinking if you don’t want to deny yourself the enjoyment of your daily cup of coffee or tea. This will prevent the majority of the staining properties from making contact with your teeth. Avoid tobacco products all together. The harmful chemicals (tar and nicotine) released will not only have adverse effects on your health, but they will also leave dreadful stains on your teeth. Although it can’t substantially improve the appearance of your teeth, a whitening toothpaste can be a big help in maintaining the results from your professional whitening. Once you’ve worked with your local professional to obtain the smile of your dreams and have experienced the excitement and euphoria that it brings, you definitely want it to last. Your Zionsville dentist is here to help you in that quest. And if you’ve yet to address your stained or discolored teeth, he’ll be glad to lead you to smile perfection! Dr. Angelo M. Julovich earned his dental degree from the Indiana University School of Dentistry. 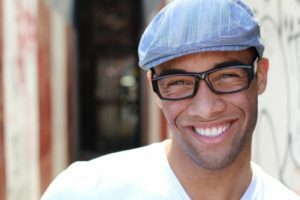 Since then, he has helped thousands of patients enjoy the pleasure of gorgeous smile makeovers and elevated confidence. Dr. Julovich can be reached for more information through his website.